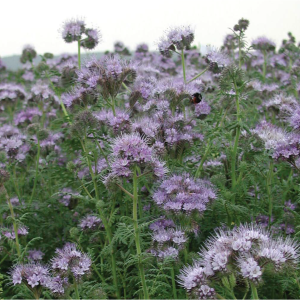 The flowers are attractive to Bees and other insect pollinators in the natural environment. 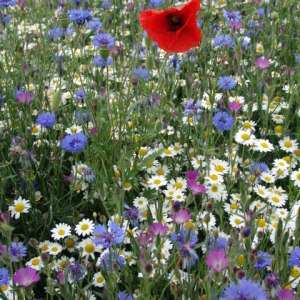 This is a medium height flower seed mixture and reaches about 1/2 metre tall. 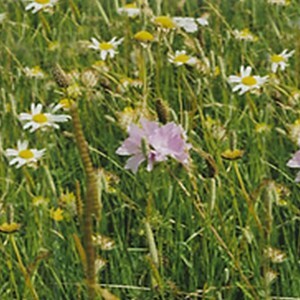 The flower seed mixture does not contain grass. Choose a good well drained soil in an open or sunny site. Avoid using land that is completely shaded or covered by trees. The seed mixture is ideal for soils that are more fertile with good levels of organic matter or high in natural nutrients. Sow the seeds thinly at about 2 gms /sq metre directly onto the soil where you want the flowers to grow and lightly cover. The seeds should be sown onto a bare ground area that has been worked into a reasonably fine tilth. The seeds must not be sown into an area that is already covered by lawn. The flower seeds should germinate in 8-10 days given good growing conditions of warmth and moisture. The plants should start flowering around mid June, depending on the seasons growing conditions such as warmth and moisture and date of planting. Flowering should continue until about the beginning of November subject to early frosts. The Cornflower flowers first along with the Eschscholzia, followed by the Zinnia and finally the Trianon and Pacific Beauty English Marigold. The seed mixture gives a good cover and can be seen from a distance. The Colour Splash flowers are attractive to Bees and other insect pollinators in the natural environment.